Last night my wife gasped and shrieked when she realized that her three diamond ring had lost one of it stones. I had given her the ring after the birth of our third child to celebrate our children. After much frantic searching, she came to the realization that it is probably lost. Perhaps, some time in the future, a lucky person will stumble upon a the shiny rock, recognize it’s value and it will make their day. Hopefully that person is my wife! This image of a nice diamond isn’t real. I created it using 3D software and photoshop. available for usage through Masterfile here. Once again, your positive outlook on life has me seeing this situation in a whole new light. 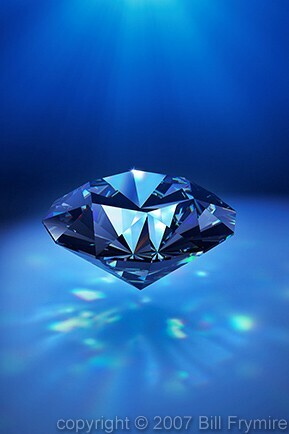 Instead of focusing on my loss, I am now trying to envision the lucky person who finds that diamond. It doesn’t stop me though from hoping that the lucky person is ME!! Maybe you should have posted your “needle in a haystack” photo when talking about this situation because that is more like the reality of it.